Finding something to eat that is delicious and healthy at the same time can be really difficult especially when you have picky kids. I have always struggled with the fact that fast foods and junk foods are not healthy and can get you diseases. I always thought to myself, how can something so good be so bad? So even though food is life, I ought to make sure that what I'm eating is not going to ruin my life. With this, I've leaned onto using US Potatoes. Potato is probably my favorite vegetable ever because it doesn't taste like you're eating grass. It's also so versatile that it can be used in a lot of recipes. For me personally, eating potatoes rather than white rice makes me feel full much faster. Potatoes are more energy-packed than any other popular vegetable and have even more potassium than banana. Plus, there's a potato option to fuel the body and brain – it’s definitely the perfect snack to keep your kid bustling with energy throughout the day. When I first heard about US potatoes, I am actually very surprised how potatoes are really healthy despite having french fries as its product counterpart. 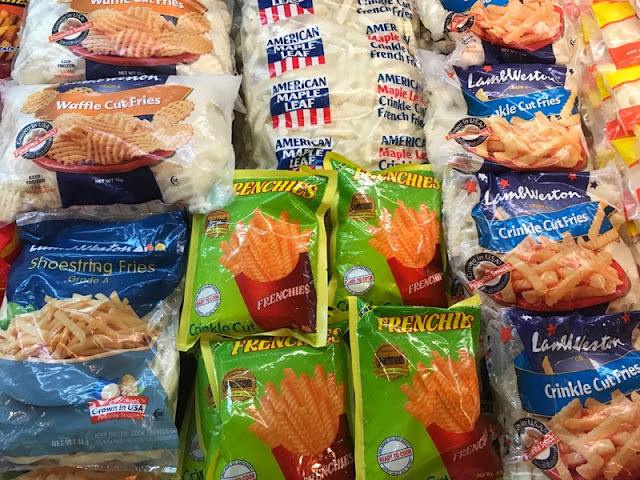 I've come to know that what makes french fries unhealthy is all the preservatives added to it. 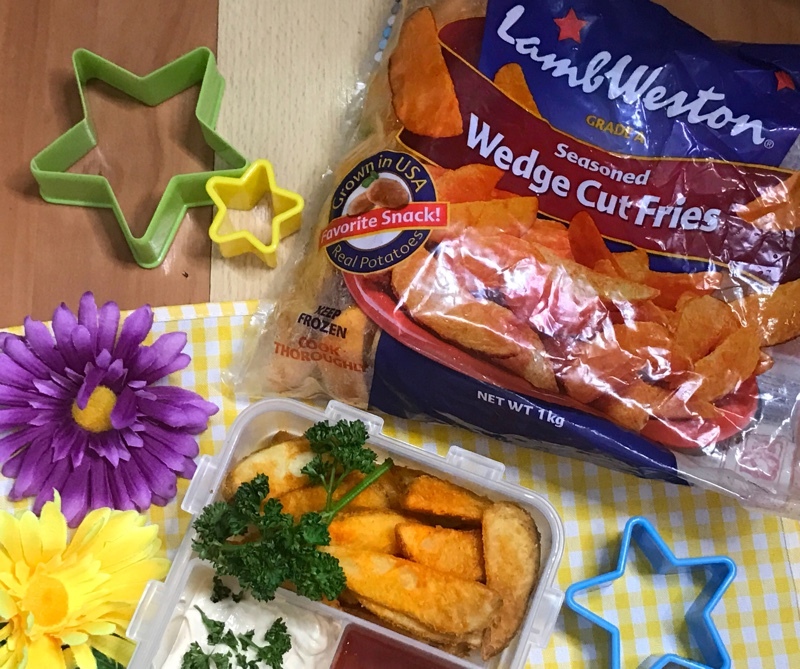 Additionally, according to a study, potatoes tend to be well-liked by kids and can be a good source of potassium and dietary fiber for children aged one-three years. 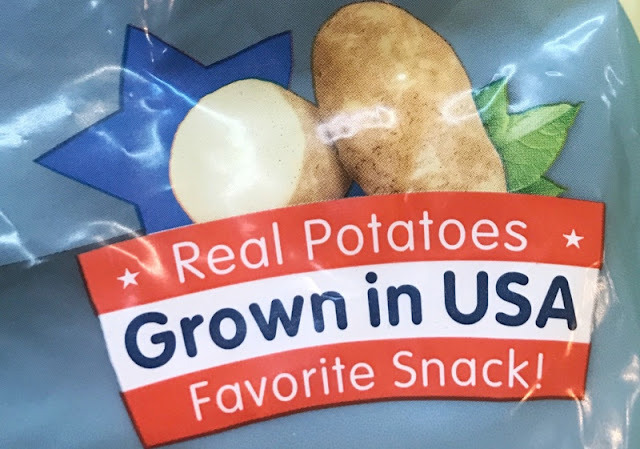 It showed potatoes provide 8% of the recommended daily value of fiber — important for growth, development and overall health of children. Potatoes are a naturally fat-free and sodium-free vegetable. They have nearly half the daily value of vitamin C and are a good source of fiber, folate, manganese, niacin and phosphorus. Recent research shows potatoes do not displace other vegetables on the plate. In fact, when potatoes are served, a wider variety of vegetables are consumed. Potatoes are a true gateway vegetable, and is the only vegetable easily incorporated into kids’ breakfast. Offering potatoes during breakfast gives schools the opportunity to increase consumption of a nutrient dense vegetable. One of our all-time favorite snack is potato balls. I always get it whenever we are in the mall. My kids love it. They even requested if I could make it at home and bring some to school. So being the loving mama that I am, I searched the internet for a recipe and cooked my way through their hearts. And to make it more interesting than our conventional potato balls, what I made are tuna croquettes. Of course, I use US potatoes as my main ingredient. With this, I was able to put a smile on their faces and even monitored their food intake even when they are at school. They even shared their baon with their classmates and asked me for more the next day! This simple things really make up for every hardships of being a mom. 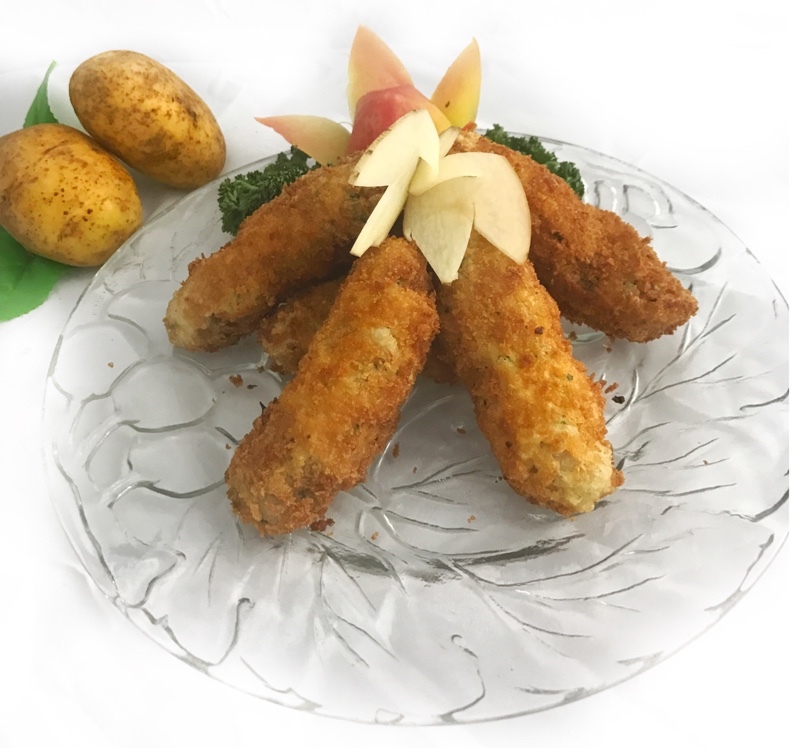 The recipe I used in making my awesome Tuna Potato Croquettes is listed down below. I didn't break a sweat in making this because US potatoes are readily available and very easy to prepare. It's more tasty than the regular potato balls sold in the malls. Place potatoes in a saucepan and cover with cold water. Bring to the boil over medium heat. Reduce heat to medium-low. Simmer 15 to 20 minutes or until tender. Drain. Return to saucepan. Add milk. Mash until smooth. Transfer to a bowl. Heat olive oil in a small, non-stick frying pan over medium heat. Add onion. Cook for 3 to 4 minutes or until soft. Add garlic and paprika. Cook for 1 minute. Add onion mixture, tuna and parsley to potato. Mix well. Place egg and breadcrumbs in separate shallow dishes. Using 1/4 cup mixture at a time, shape mixture into small sausage shapes. 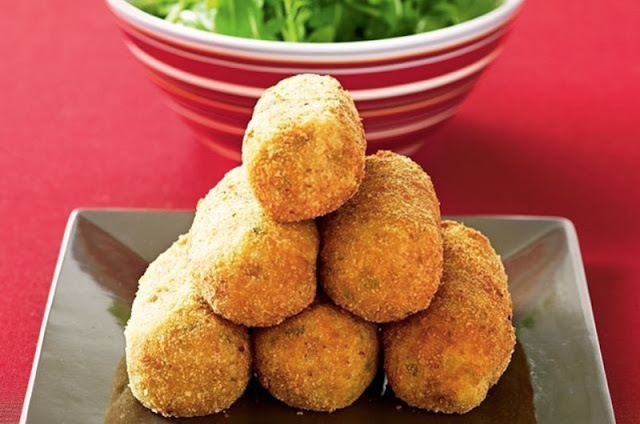 Dip croquettes, 1 at a time, in egg then roll in breadcrumbs to coat. One-third fill a frying pan with oil and heat over medium heat. Cook croquettes, in batches, turning, for 3 to 4 minutes or until golden. 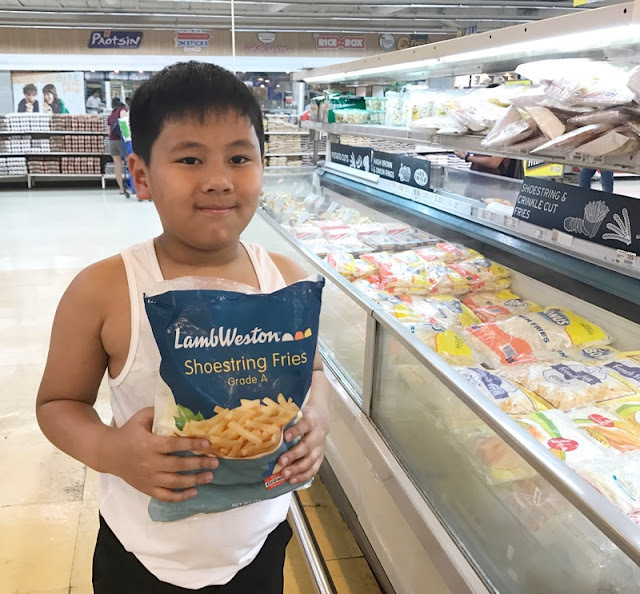 You can purchase US Potatoes at selected SM Supermarkets, Rustans Supermarkets, Shopwise, Pioneer Center Supermarket, and Duty Free Philippines. Im a potato Lover.. will try this! !